Do you find yourself having to log in and out of different selling channels every time you want to list your products and services?. Or do you need to manually adjust your stock levels each time a sale is made? These are just some of the challenges that commonly arise as a business grows and human error results more often than expected. Customers are then disappointed and thus giving a company a bad reputation. You could even be prohibited from participating in online selling marketplaces such as Amazon and eBay. This in itself highlights the main reason why you should seriously consider Inventory Management Software & accounting. 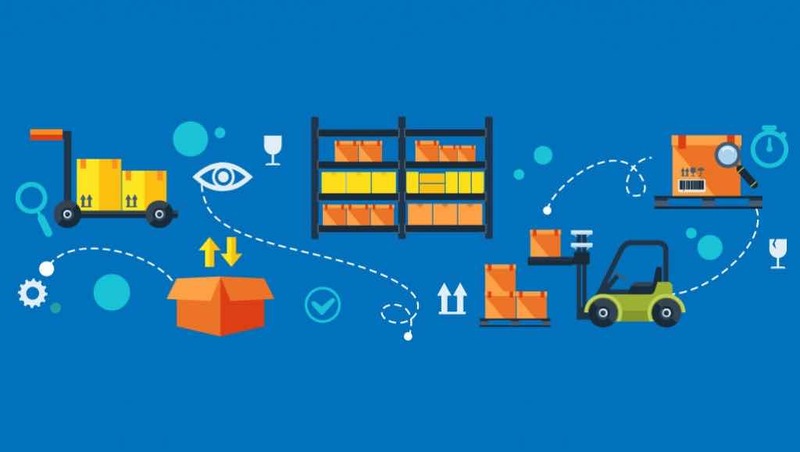 Simplified inventory management: the biggest benefit of using a good inventory management software is that it simplifies the whole process of managing your inventory and thus saves you both time and money. Your stock levels will always fluctuate and supply and demand will constantly vary. The software automates the key process and assists you to make smarter decisions thus increasing profits and efficiency. Increased profitability: fulfilling tasks such as managing your stock levels becomes more efficient and accurate thanks to the software’s ability to automate your key business operations. You can thus update your listings and thus maximize profitability because of reduced costs. Increase productivity and efficiency: an inventory system can save you hours by automating daily manual tasks of running a business. You can thus increase productivity since you can focus on ways to maximize the growth of your business. You can also manage your stock, dispatch orders, and print shipping all for a single dashboard. Fewer mistakes such as overselling: if you synchronize all your web stores and online marketplaces you are assured that all stock levels are adjusted after every sale. This greatly reduces the chance of overselling. Avoid stock-outs and excess stock: trying to maintain the right balance when managing your inventory can be a challenging task. When you have too little stock can make customers unhappy and loss of sales. On the other hand, if you are overstocked your warehouse can use up a lot of space and thus results in unnecessary charges. Both situations can cost you a lot. Fortunately, an inventory system enables you to track low stock levels and follow up ordering of products that are about to be out of stock. You can also forecast product demand and thereby reducing the risk of ordering too much stock. An automated system will also include shipping management, order management and also streamline for you the entire selling process from the order making process right to the printing and shipping of orders. This can help you maximize the growth of your business. The system is a must for any business regardless of its size. Accounting software improves efficiency and helps you to organize a business in a smart way. Accounting software helps you to define the current standing of your company while inventory software maintains inventory health. It is all about knowing what you have stocked in your warehouse and the exact location of your stock. An inventory management system needs to be integrated with your back office systems in order to effectively optimize your account. The inventory asset value that is reflected in your financial report should match what is physically in stock. There is no need for manual and tedious intervention to reconcile records. These components may be entirely different but when better management results when they are incorporated. This gives your business a better edge while saving money, minimizing risk and automating tedious processes. You will experience these additional benefits below when you integrate your inventory management and accounting software. The main advantage of optimizing inventory stock is that helps to avoid wastage and maintain customer satisfaction. All costs related to handling and storage associated with inventory item stored. So if you have a surplus of inventory stock you will have unsold items sitting on shelves for a long time and this is a cost itself. There is also the risk of the goods getting damaged or becoming obsolete. On the other hand, having a shortage of items will make you lose out on profits because of disappointed customers and missed sales opportunities. An integrated system that comprises of inventory management and accounting software can significantly increase the accuracy of data analysis and provide you with valuable and important insights that will contribute to the progress of a company such as cash flow and sales forecast. Such solutions with real-time visibility benefit business and help to plan out more accurate decisions regarding the demand and supply of goods. Labor costs make up for a significant part of a business’ expenses. An integrated system ensures that unnecessary processes that are labour-intensive are minimal. This saves you a whole lot of time and money. A smart business owner will regularly check inventory stock with accounting data in order to avoid discrepancies. Key stakeholders and investors appreciate the need for accuracy in financial statements and for tax purposes. If you notice that there are continual major inconsistencies with the reports, then this calls for investigations of the root causes. An integrated system will also help to remove complications, delays, and mistakes. Your business needs to be streamlined into a single process with real-time solutions to increase automation in the business. The output from the integrated software can be used to make important decisions and also help you to discover valuable insights regarding a company’s data. It also paves way for accurate and efficient financial reports and these can be quickly accessed at any time. In order to have a well-planned strategy for future growth, you will need to determine the right inventory system that suits your business’ needs. @Akinola: please send your email to “info @ lemmymorgan.com” we can take it up from there. @ogboye: there is none sir.